the music community of San Antonio. to nurture the aspiring music community of San Antonio. G.I.G. is currently working on free/low cost EPK's (electronic press kits) for San Antonio musicans who need a quality video of their work. The G.I.G. In my humble opinion is a great music venue because it caters specifically to the music and musicians as well as artists! G.I.G. is a true visionary in the music scene in San Antonio because their sole intention is to promote a community building atmosphere where everyone is welcome! The G.I.G. was a venue that highlighted local musicians, and put the music first. It gave musicians a place to network, and was one of the few live music venues that minors could enjoy and get advice from talented artists. The biggest names in San Antonio music have passed through the doors of G.I.G. G.I.G. provided a welcoming space to aspiring musicians in San Antonio. One spring, I taught a songwriting class for the N.E.I.S.D. community education program. I had five young songwriters in my class, and, for a "graduation" ceremony, I wanted them to have the opportunity to perform their songs in public. G.I.G. gave me that opportunity. I never felt more pride or satisfaction as a teacher or songwriter than that night at G.I.G. I would love to see G.I.G. return to the S.A. music scene. I spent my high school years at the G.I.G. I saw every kind of artist, I saw all walks of life welcomed, I saw an honest venue owner who gave amateurs and professionals alike a place to be themselves and create together. I was encouraged and emboldened by this space as a kid. I have never seen a venue like it before or since, and have mourned its passing. The revival of the G.I.G. would undoubtedly be a boon to our community. G.I.G. did an amazing job creating a venue that served as a listening room for musical acts. It did its greatest service serving as an incubator for bands in the San Antonio music scene. 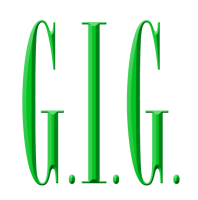 G.I G. eliminated the clique atmosphere, the pretension and the difficulty of playing music in front of an audience that actually listened to your music. When contacted they would suggest some dates for you to choose from in a bill that was paired creatively and musically to showcase all the bands and present an enjoyable musical evening. G.I.G. created posters and promotional materials for every show and offered recordings for the bands to use to to promote themselves in the future. No venue works harder to help the new bands gain confidence and a following. San Antonio has had a void of this type of venue since G.I.G. closed and I hope that all considerations are given to open GIG in this new location. KIMBERLY FREEMAN aka One Eyed Doll performs at G.I.G.